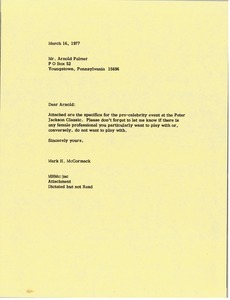 McCormack notes that Jay Lafave will look inot a problem with Ram as well as information on Arnold Palmer golf clubs. 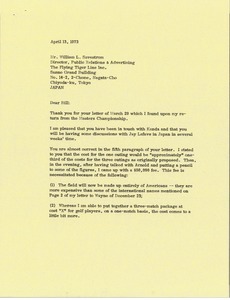 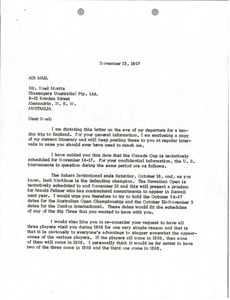 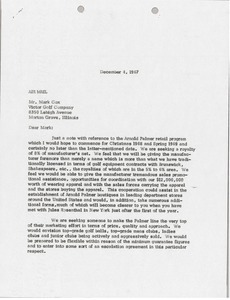 Additionally, McCormack indicates that Peter Smith will contact Sussman regarding "Golf International" subscriptions. 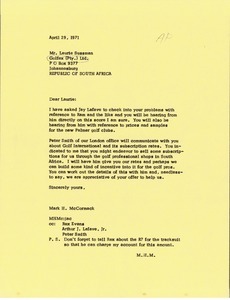 McCormack confirms a meeting with Smith at Turnberry if both he and Arnold Palmer are there on the suggested date of July 2. 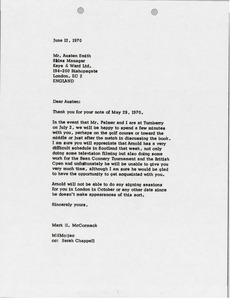 The proposed meeting will be to discuss an unidentified book project. 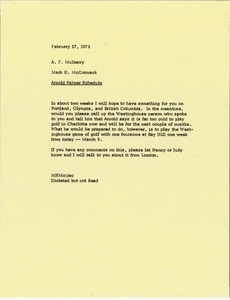 McCormack indicates that Palmer's schedule in Scotland is very busy with commitments to television filming, the Sean Connery Tournament and the British Open. 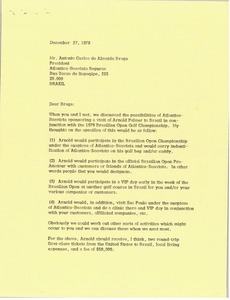 Memorandum regarding Arnold Palmer's schedule. 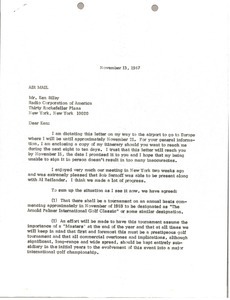 He will not play North Carolina because it is too cold in the early spring but he will play the Westinghouse game of golf with one foursome at Bay Hill in early March. 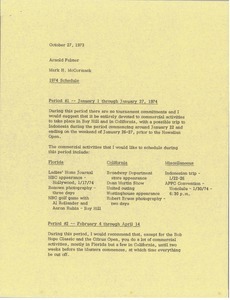 Listing Palmer's 1974 schedule, broken down into seven periods.